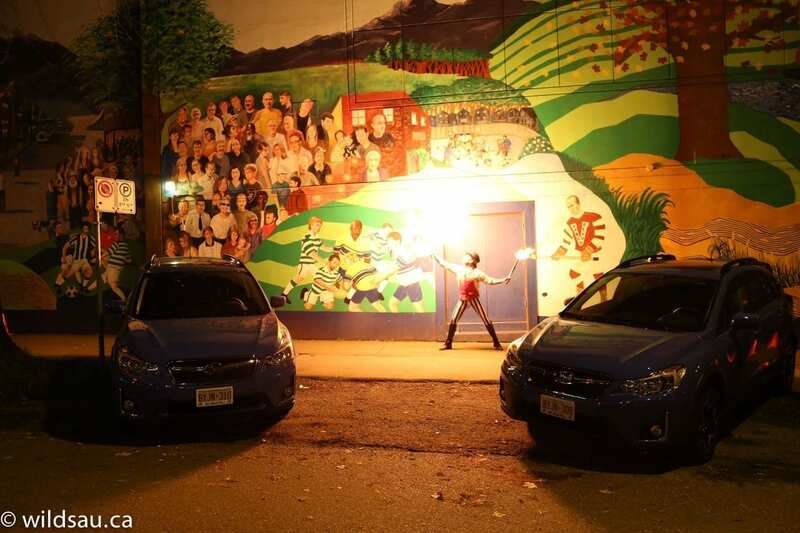 The 2016 Subaru Crosstrek – a sporty crossover that’s as nimble in urban settings as it is in more adventurous ones. 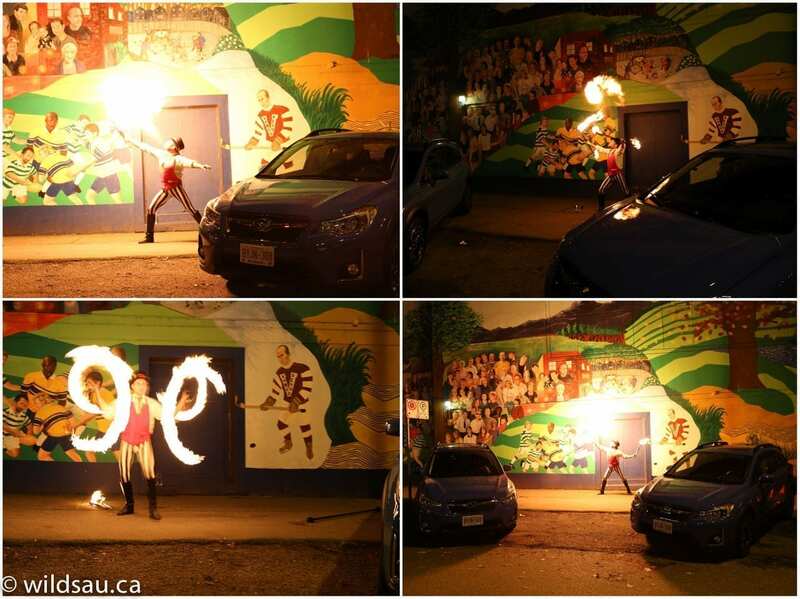 Review and photos by Tom Sedens. Click on any picture to see a larger version. There are lots of additional pictures after the article. Subaru, buoyant after sharing the latest numbers about its all-time market share high, was eager to show off its refreshed Crosstrek. Starting with the name (there’s no more XV in its title), the Crosstrek has been refreshed inside and out. 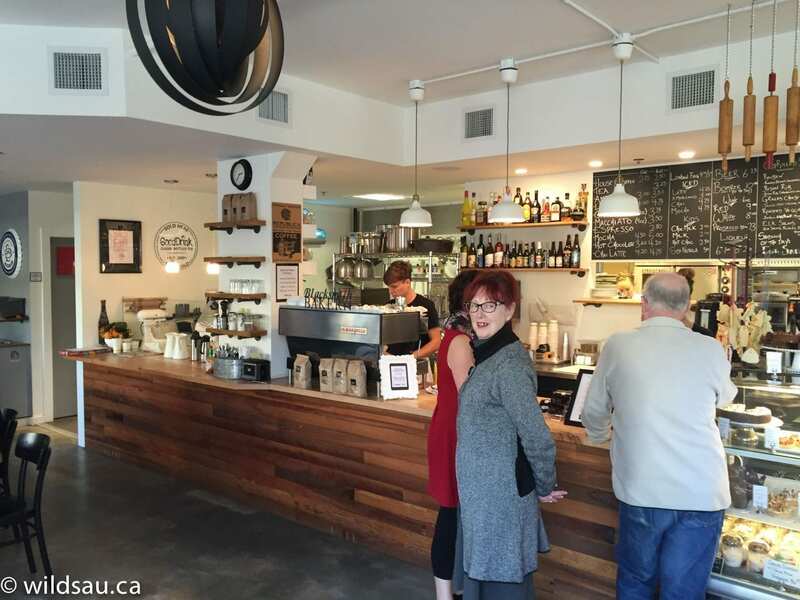 The changes aren’t huge – as a matter of fact, you have to look closely to spot most of them. 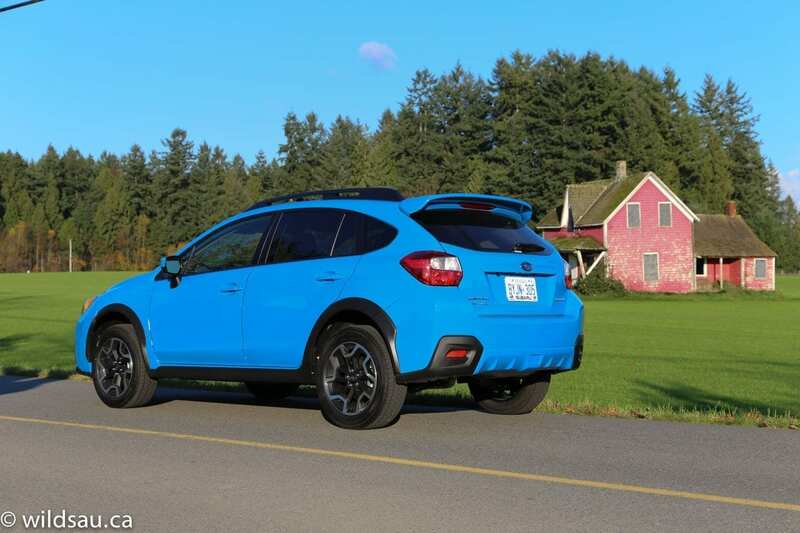 The Crosstrek is interesting as it dabbles in two categories – the subcompact utility (crossover) class (which seems to be exploding at the moment!) and the compact utility (crossover) class. 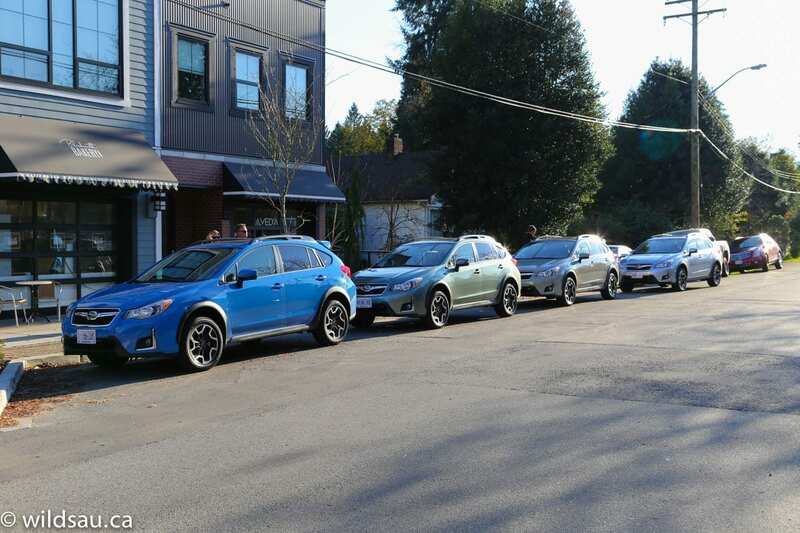 Subaru feels that the Crosstrek is a perfect fit right between their Forester and Outback models. 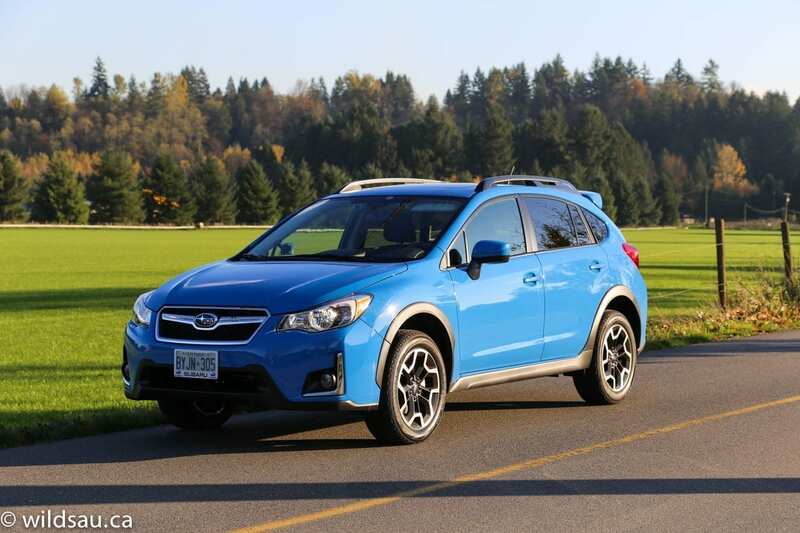 Buyers for the Crosstrek are younger couples without children, as well as older empty-nesters. 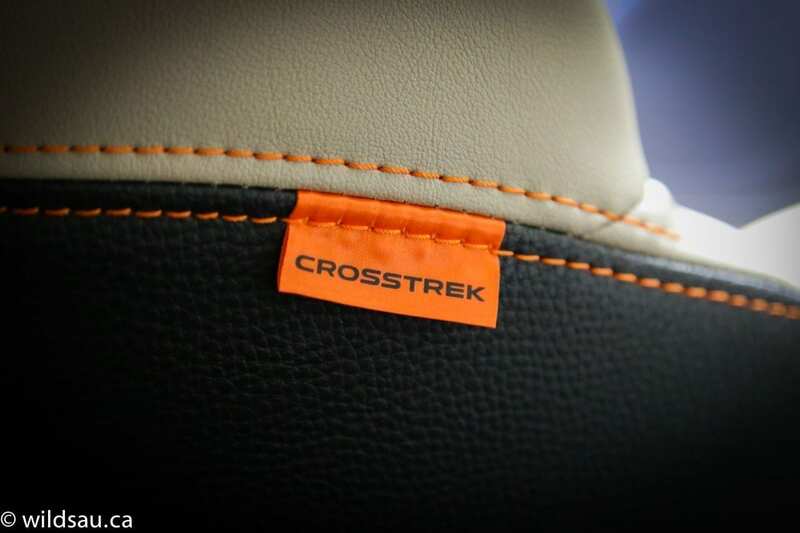 We first met the Crosstrek in 2012, when it had few competitors – just the Nissan Juke and the Mitsubishi RVR really. 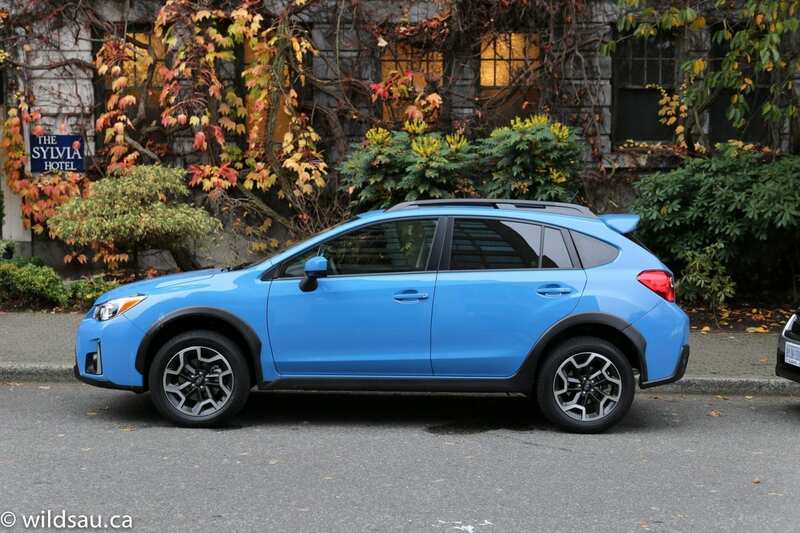 But there have been changes to this segment since the Crosstrek was introduced, and the competition has really increased in terms of the other offerings and what they have to offer. 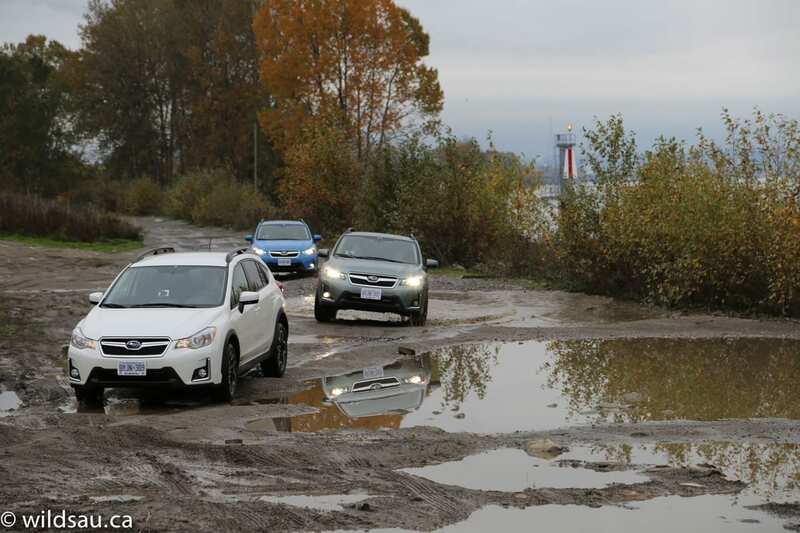 And because the Crosstrek is able to cross over into other segments, its competition is a bit blurry. It can compete with sub-compact SUVs, compact SUVs, compact hatchbacks and wagons and even a more off-road worthy crossover like Jeep’s new Renegade. So how does Subaru go about marketing their vehicles? Well, they tend to target independent thinkers. 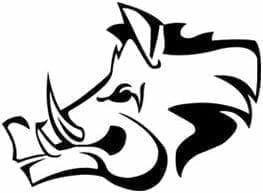 People that do things that are uncommon and people that do things that just make sense. In that vein, the brand pillars are to appeal to people who are looking for adventure and an active lifestyle, performance, durability, quality, reliability and safety. 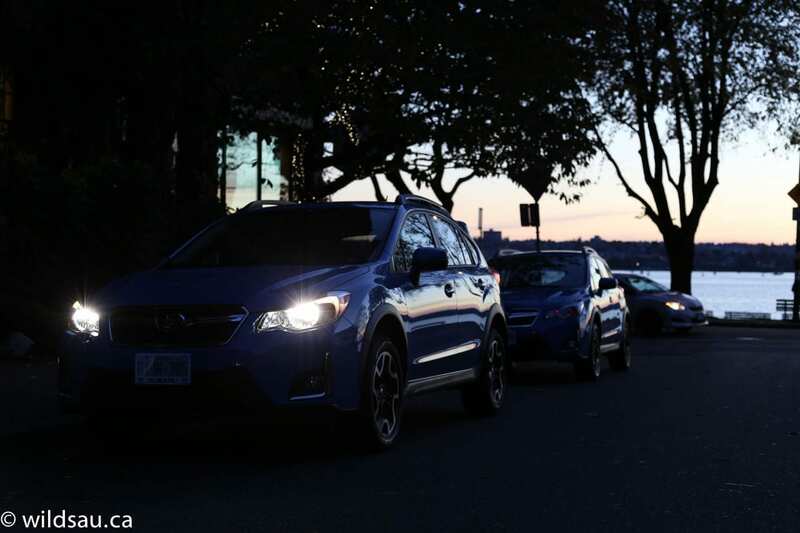 With this in mind, Subaru positions the Crosstrek as a vehicle that is right for urban adventurers – city dwellers that head out of town or off the beaten path on the way to adventure on the weekends. OK, so back to the changes. The front grille and the wing design inside it were changed slightly, making it sharper and more sporty. There are some chrome L-shaped trim pieces by the foglight, and the front bumper has been redesigned slightly as well. The headlight surrounds get a slight update too. The most noticeable change for me were the new wheels. 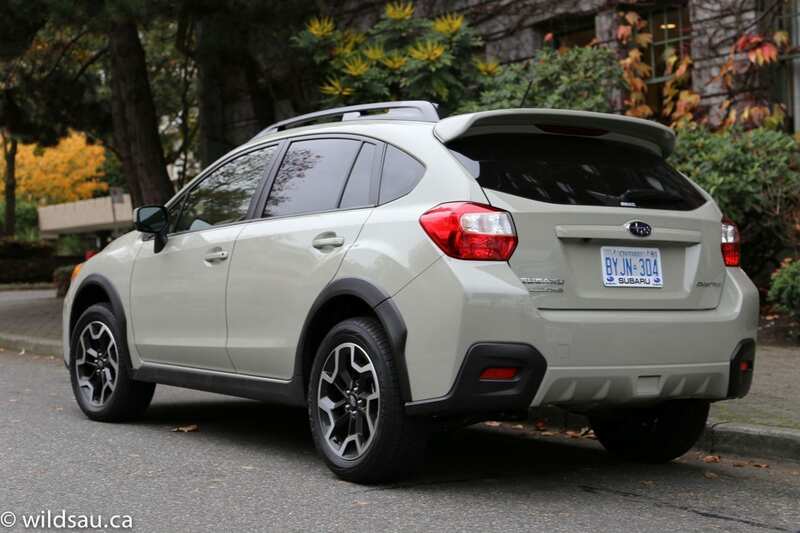 While they are instantly recognizable as Crosstrek rims, the spoke-boxes now have a swept forward design, which gives it a sense of motion – they look great! Subaru also offers a new colour – the eye-catching Hyper Blue. 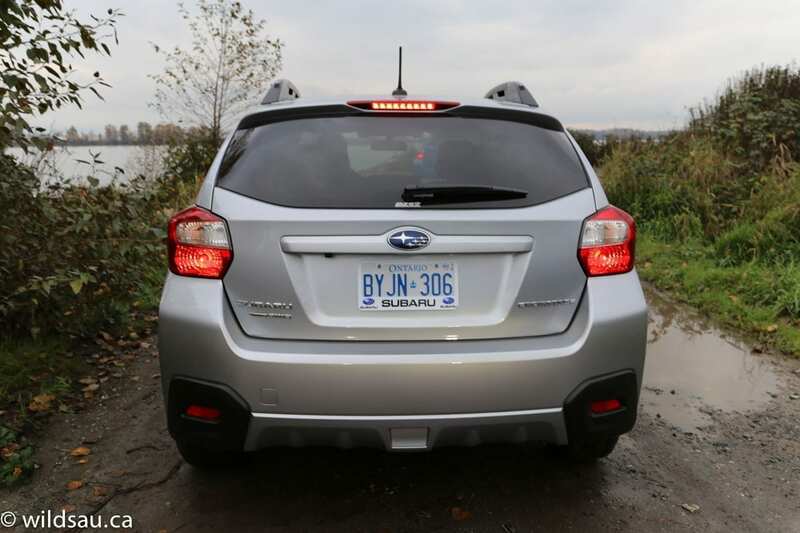 Otherwise, the Crosstrek’s rough-and-tumble version of an Impreza styling remains intact. Inside, the changes are evolutionary as well. The Limited trim gets a new silver and gloss black trim on the dash, and there are plenty of new orange highlights around the cabin – stitching on the centre console, the seats, the shifter and the shift boot and model tags on the seats. There are more soft-touch plastics to be found and the steering wheel has been updated with a new look, and more intuitive controls. The heated seats (leather in the Limited trim) are comfortable, and the new 7-inch infotainment system available on high trim vehicles include navigation and a much more user-friendly and intuitive interface. I loved the new steering wheel, and I found enough rear seat room for me (at 5’10”) although the middle seat back there is no picnic. 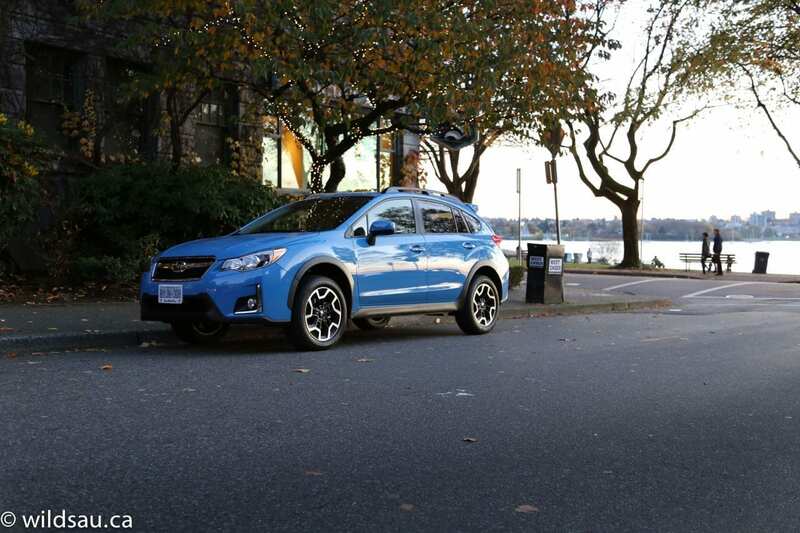 When it comes to motivating the Crosstrek, the 2.0-litre horizontally-opposed 4-cylinder carries over. It puts out 148 HP and 145 lb.ft of torque. 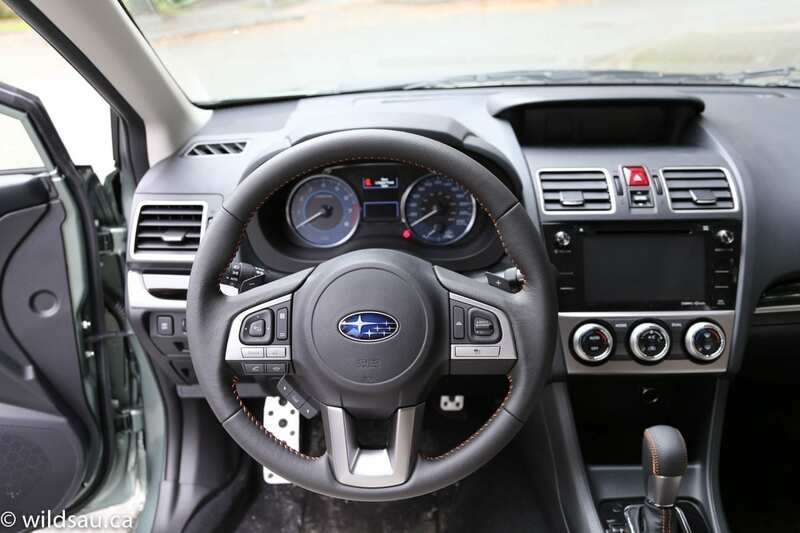 The “boxer” engine is mated to a 5-speed manual (the base transmission on all but the hybrid model) or a continuously-variable transmission (CVT) and routes its power to Subaru’s legendary Symmetrical All-Wheel Drive. 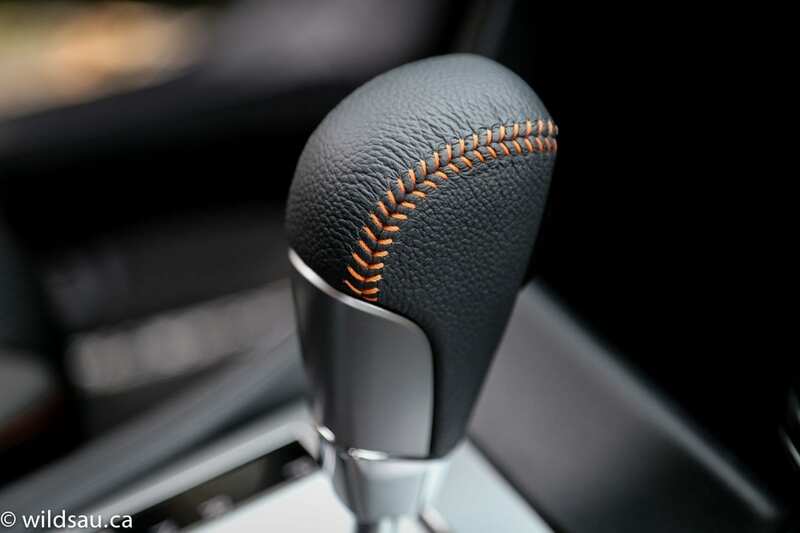 If you’re interested, Subaru says the take rate on the manual transmission is around 20% and it’s declining year over year. 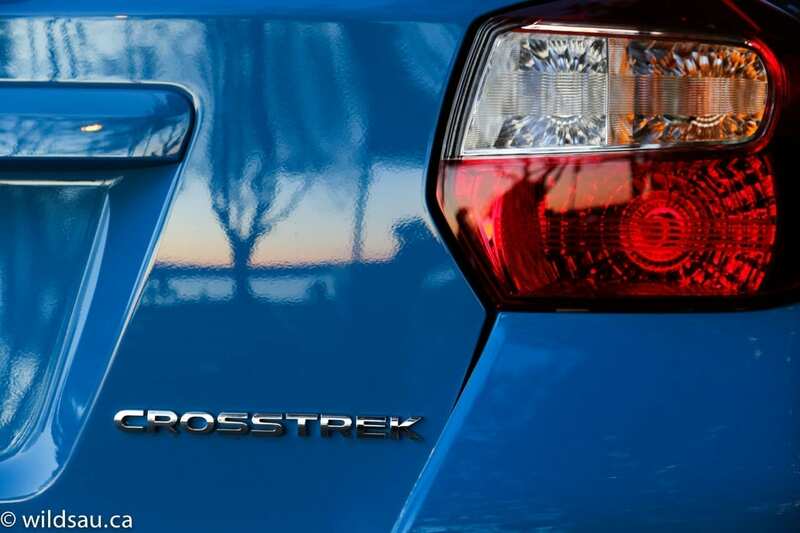 If you’re concerned about fuel economy, the Crosstrek holds its own. It has the best highway efficiency in class, at 7 L/100 km. It is rated at 9.1 L/100 km in the city – both of those ratings are with the CVT. So how does it drive? Well, pretty darn well, in my opinion. We got plenty of time behind the wheel over the two days. 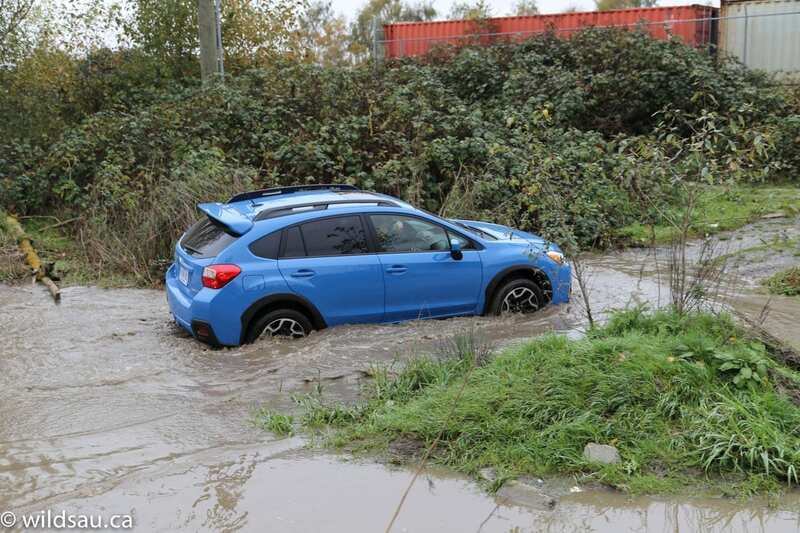 While exploring metro Vancouver and its mix of bumper-to-bumper gridlock and fast-moving traffic, abrupt stops and quick lane-changes, I was impressed by the Crosstrek’s instantaneous response off the line. There’s no hesitation, and getting a move on from a stop is no problem. There’s plenty of power and accessing it in city driving conditions is easy. Cruising on the highway was effortless, though passing is a bit of a different story. Once you get up to speed, the Crosstrek’s responsiveness feels a tad more limited and often I wished for just a few more ponies under the hood. 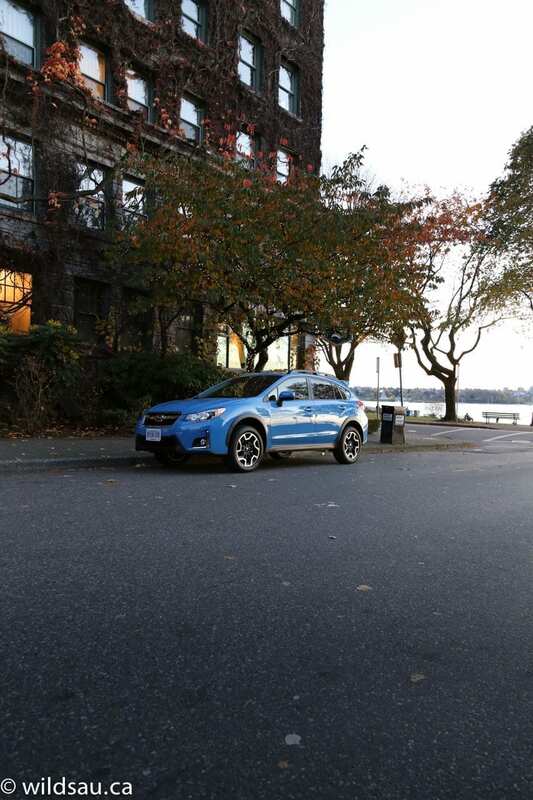 It takes a bit for the CVT to get to the sweet spot, and the whole package gets a bit noisy and buzzy at that point, but once you’re there, the Crosstrek will zoom up to whatever speed you need it to and the drivetrain settles down to reasonable noise levels. We also got to head out of town, and had lots of opportunity to test the handling. I was very impressed. Considering how tall the vehicle is, it tackles curves with aplomb. Yes, there’s a bit of body lean, but the all-wheel drive’s grip makes up for it. It always feels completely predictable and very intelligent, making for a highly competent and effective driving partner on the road. Even on switchback curves complete with a covering of wet leaves (which are as bad as ice, I assure you), the Crosstrek held its own and never lost traction. 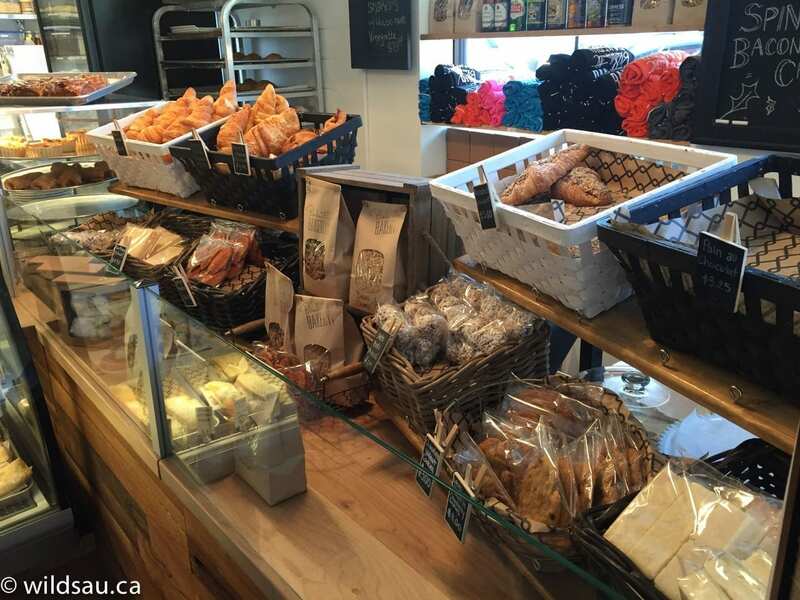 After some time flying through the countryside and the hills, we made our way to the sleepy little town of Fort Langley, where we made a pit stop at the Blacksmith Bakery. It’s worth your time to check out both the town and the bakery. After making our way back into Vancouver, we arrived at our accommodations – the historic Sylvia Hotel. 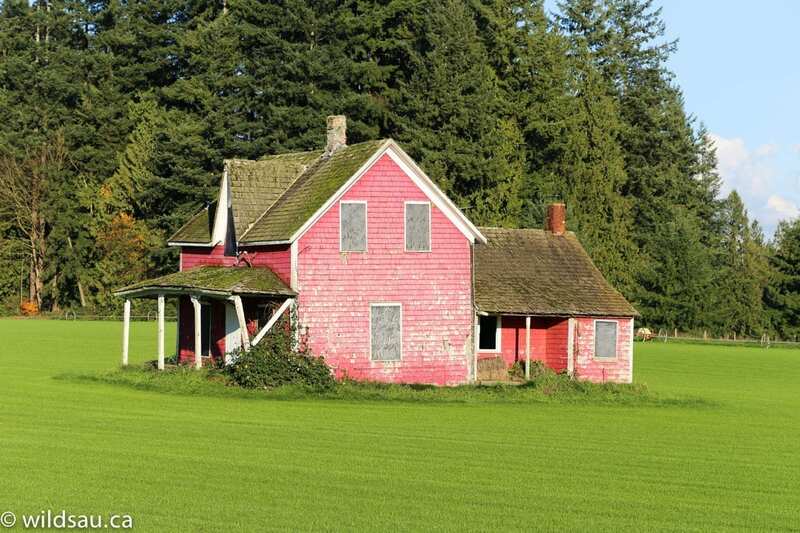 Built in 1912, it’s one of Vancouver’s landmarks. Not only is it a historic gem, but it’s located right on the incredibly beautiful English Bay – the views are marvellous. And hey, the hotel is rumoured to be haunted too, but I didn’t have any encounters during my stay. 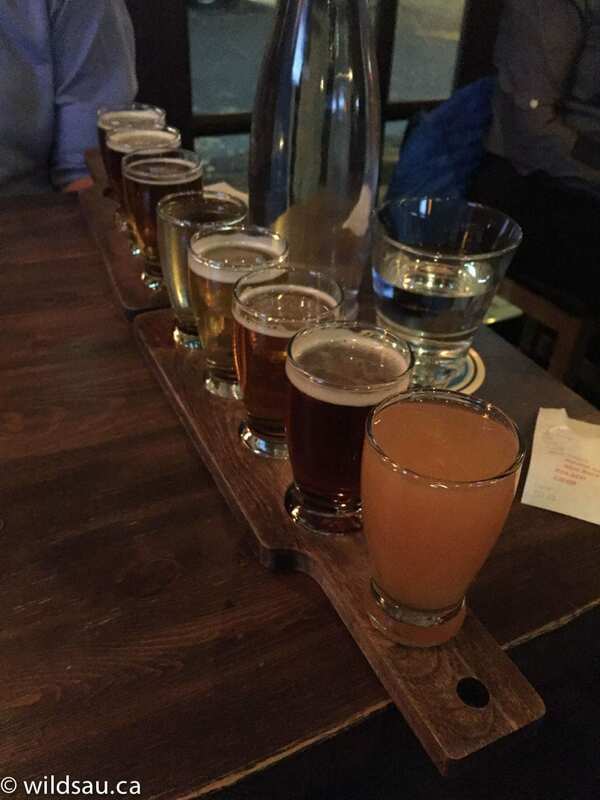 We dined at the Hub Restaurant on Denman Street – check it out for great food and a fantastic craft beer selection! 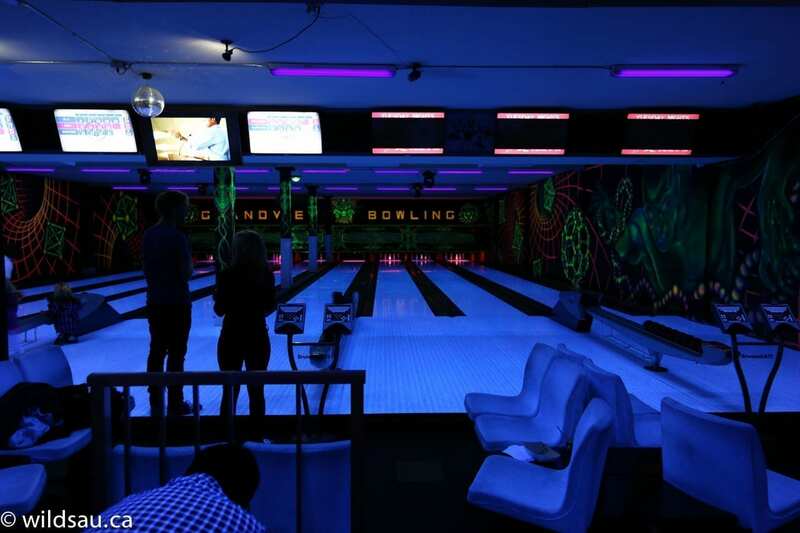 After dinner, we capped off the evening with some old-school neon bowling. What a blast! 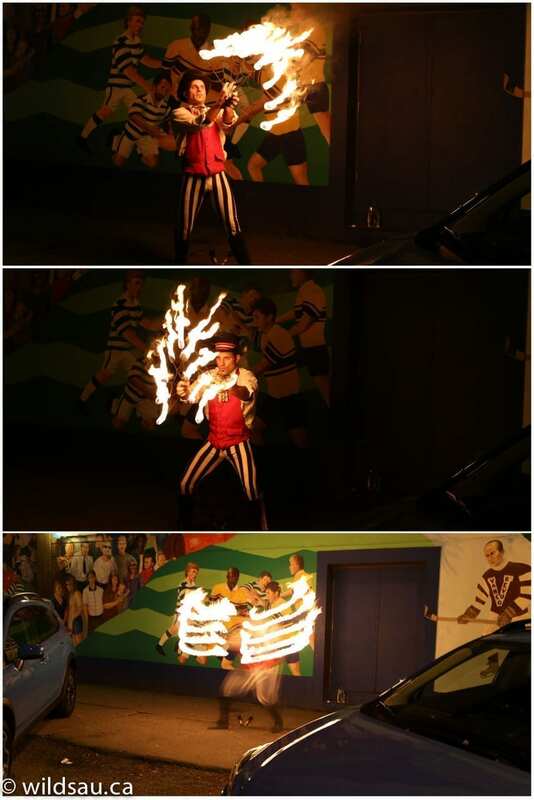 Subaru surprised us with a fire-eating show outside first, which also caught the attention of plenty of locals who oooh’d and aaah’d over the twirling of flaming batons and the blasts of heat as the artist skilfully sent clouds of fire into the night sky. 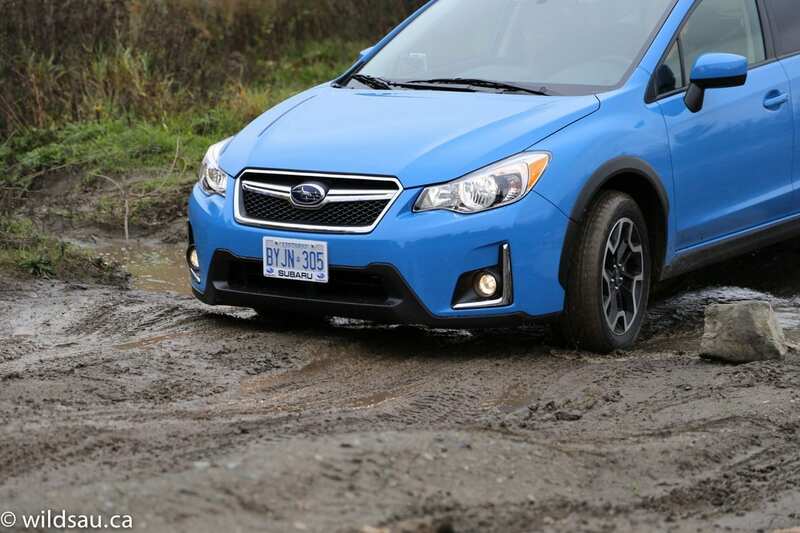 The next day we got some more demonstrations of what the Crosstrek can do – on and off road. 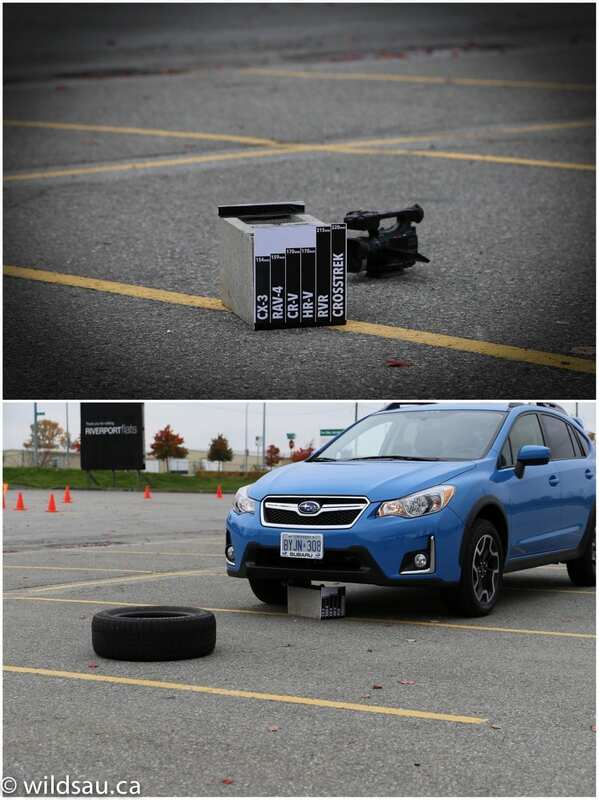 A huge parking lot was cordoned off for us to test its abilities – first we were shown proof of its 220 mm of ground clearance – the demonstrator drove over progressively taller items, eventually clearing a large concrete building block that I’d have thought impossible for any car to drive over. 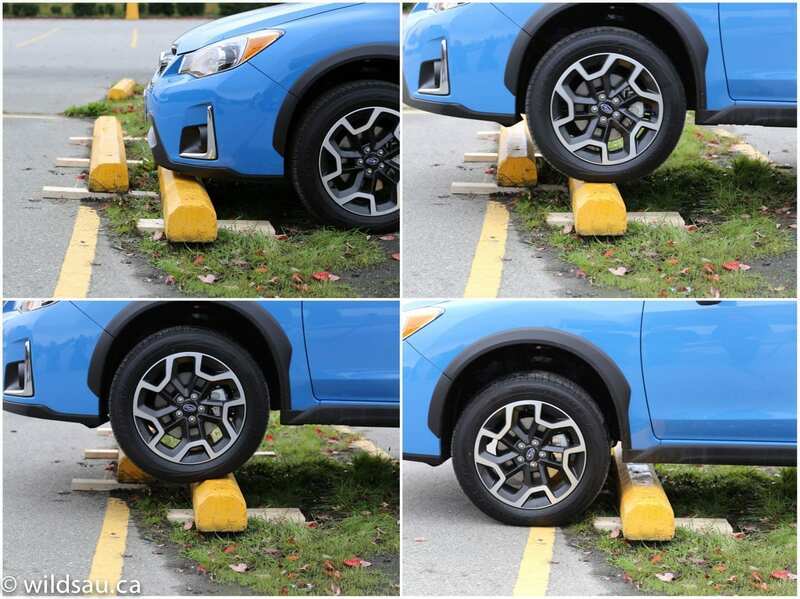 They also showed us how the Crosstrek easily hops over things like parking curbs, even articulating them when they’re staggered such that they were offset – meaning one front tire was way up in the air on top of the curb while the other was down on the ground. It’s impressive suspension work and the Crosstrek handled it all. 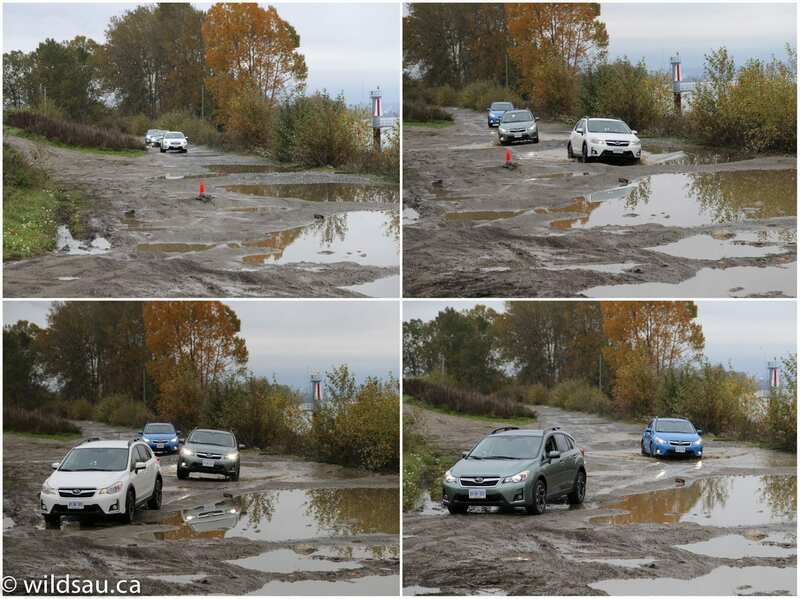 There was also an emergency lane-change course as well as a slalom course, both of which the Crosstrek sailed through with flying colours. The next segment of this event took us off the paved road. ​I think we all know that the best off-road car is a rental. Just kidding! But hey, it’s OK to live by the “it’s a rental, don’t get sentimental” mantra. 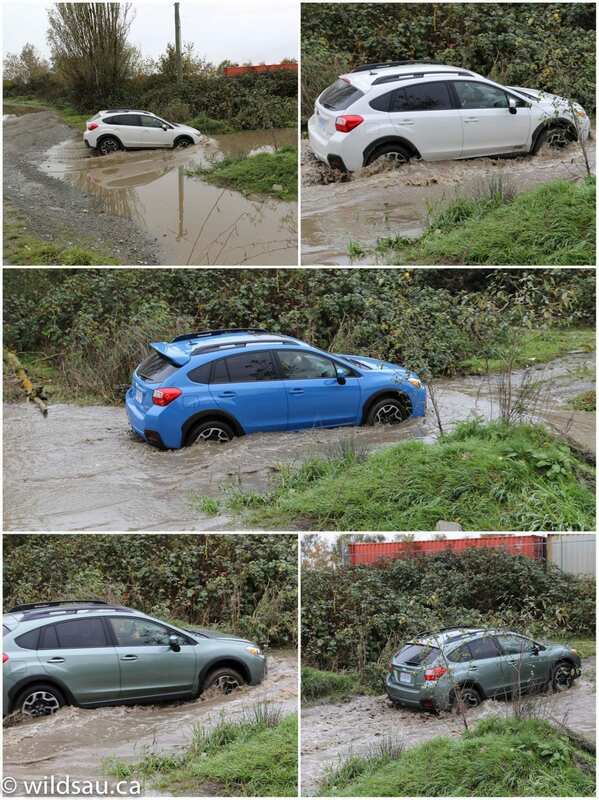 Subaru wanted to prove that the Crosstrek really is capable off the beaten path for those adventuresome folks that take their Subarus out of town on the weekends. And so they took us to a popular off-roading spot where we scrambled through narrow trails with dips and bumps that normal vehicles wouldn’t stand a chance of clearing, clawed our way up and down sticky muddy inclines that other crossovers simply couldn’t handle, and navigated our way through numerous “puddles” that easily came past the bottom of the Crosstrek’s door. 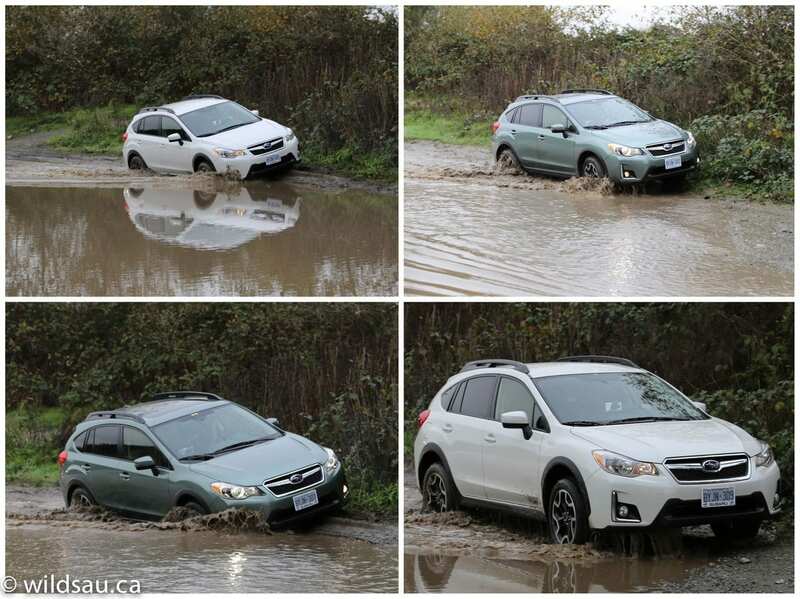 None of it challenged the Crosstrek in the least – it handled it all like a champ! 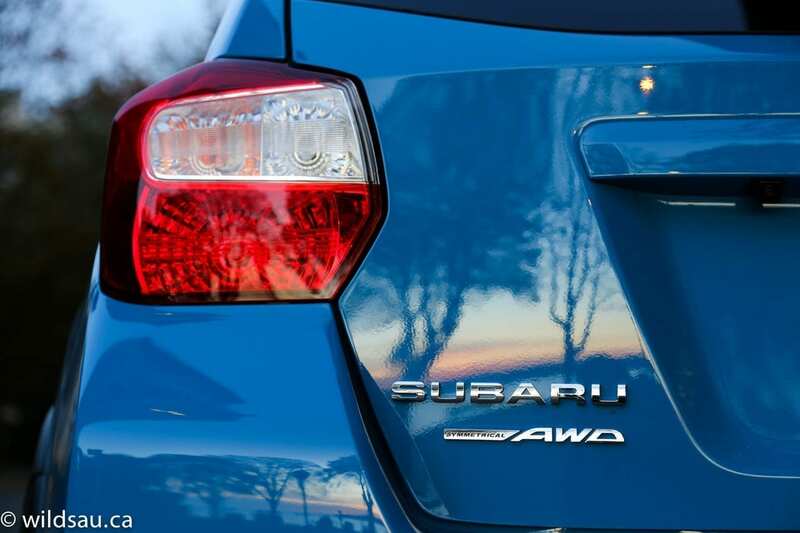 The combination of Subaru’s world-class all-wheel drive, impressive ground clearance and some serious approach and departure angles make for a truly adventure-ready vehicle. I found the CVT to be a good match for the engine in most driving situations. While the car would benefit from a tad more power occasionally, and you’ll hear some CVT noises once in a while, it’s a smooth operator for the most part. You can “shift gears” manually and the fake, pre-programmed ratios are convincing, and the “shifts” are satisfyingly quick. 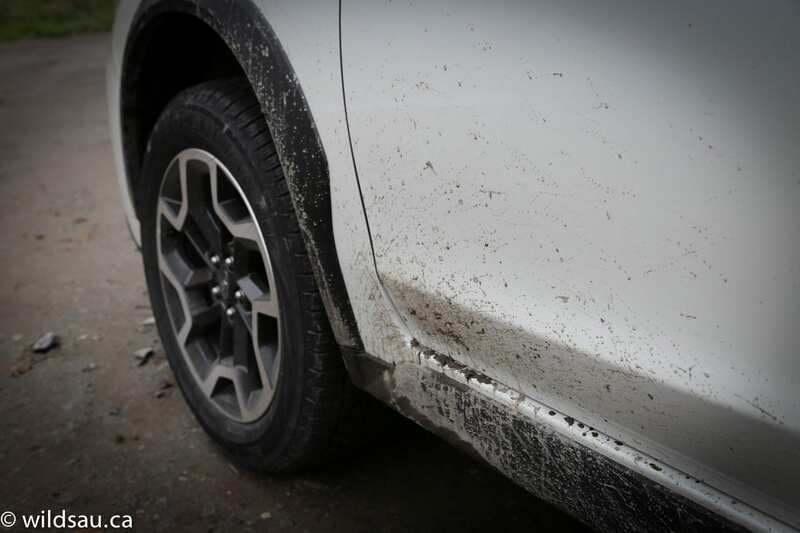 The Crosstrek’s brakes are outstanding in the city and at speed, as well as while you’re playing in the mud. Visibility is decent, although the rear view isn’t fantastic. 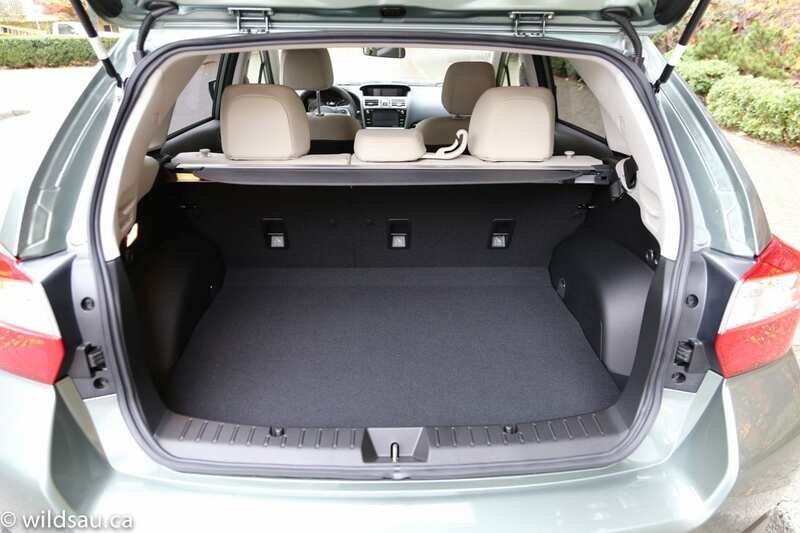 When it comes to storage, there are a few places around the cabin to drop your stuff into, and the Crosstrek’s 632 litre trunk is competitive. 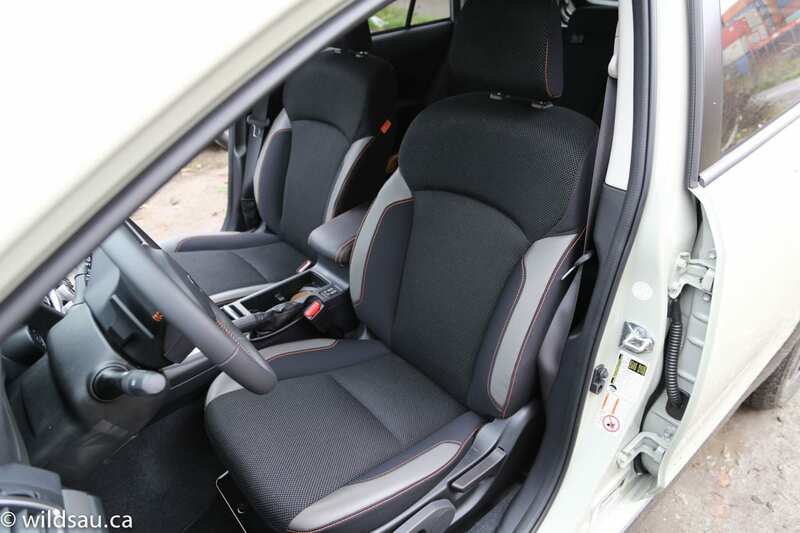 Fold the second row seats down, and you’ll more than double the cargo space to 1470 litres. 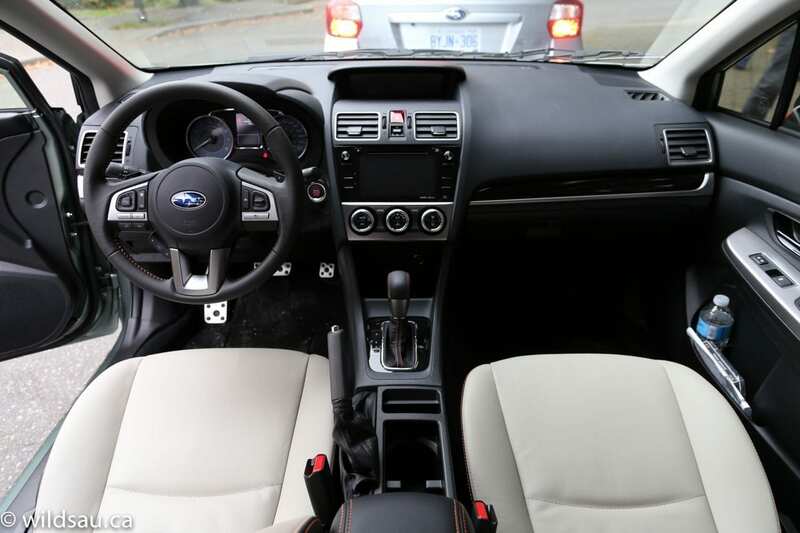 If safety is important to you, it’s comforting to know that Subaru engineers have always made this a no-compromise area of concern. 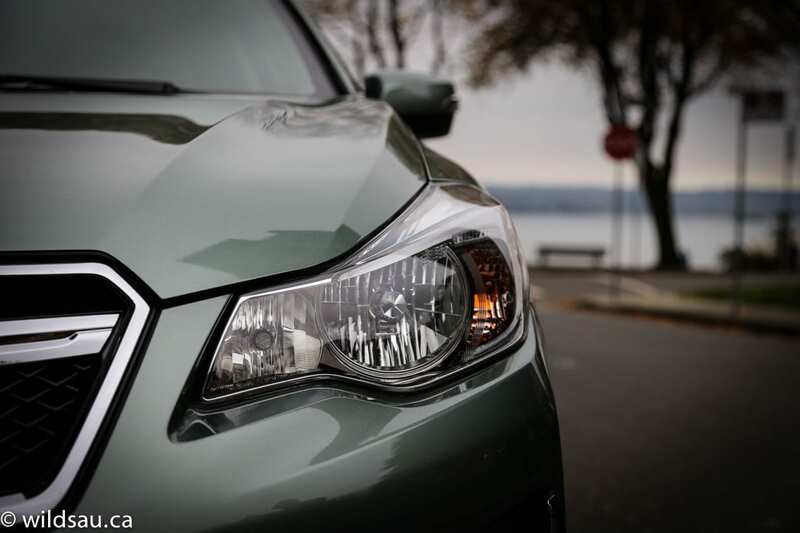 The Crosstrek’s top of the category IIHS ratings coupled with Subaru’s EyeSight system make for a very safe vehicle. EyeSight (available in the two top trims) uses cameras to add driver assistance technology like pre-collision braking, lane departure and sway warning, pre-collision throttle management and adaptive cruise control. And hey, if you care about the environment, the Crosstrek has you covered as well. 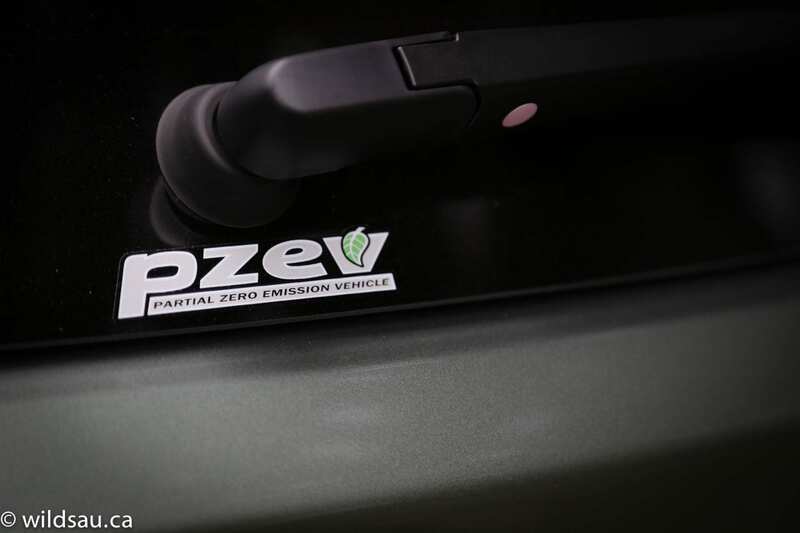 Emissions are minimal – every Crosstrek model is PZEV (Partial Zero Emission Vehicle) rated. They’re built in a zero landfill factory, and there’s even a hybrid available. Let’s talk price. First of all, there’s no price increase for 2016. Nice. The Crosstrek Touring (which is the best selling trim) starts at $24,995 while the loaded Limited with the technology package tops out at $31,895. All in all, I was very impressed with the Crosstrek. I would happily own one as it would make an outstanding vehicle for all seasons. 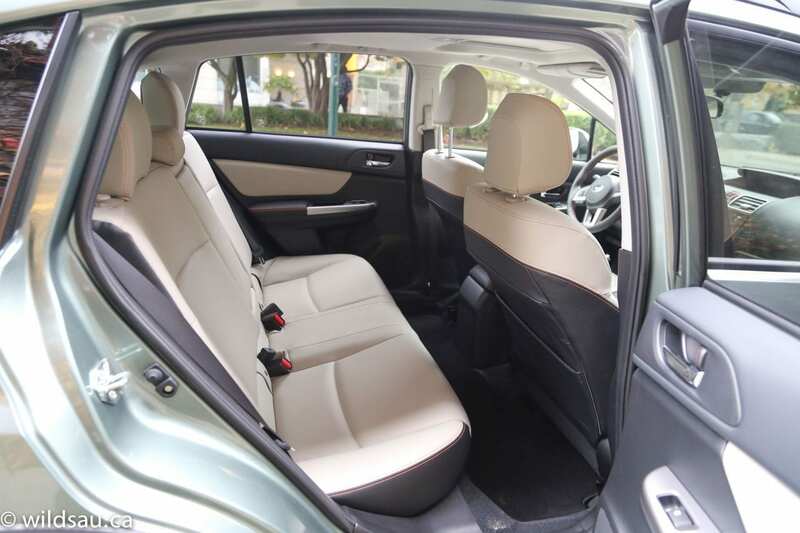 It’s fun to drive, capable on and off the road, quite efficient and offers plenty of utility for a small crossover. 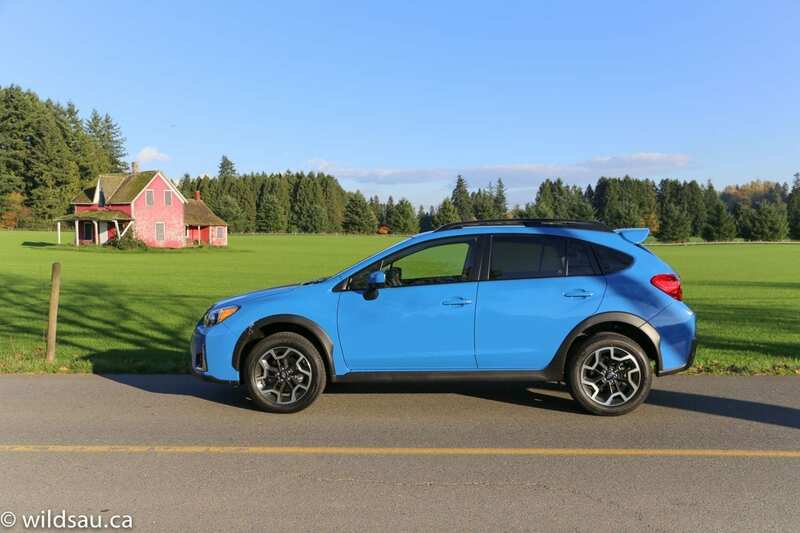 One of my favourite vehicles in this class is the Honda HR-V and so we asked Subaru why someone should consider the Crosstrek over the new HR-V, which is a bit cheaper, has more cargo space and is a well-designed vehicle. 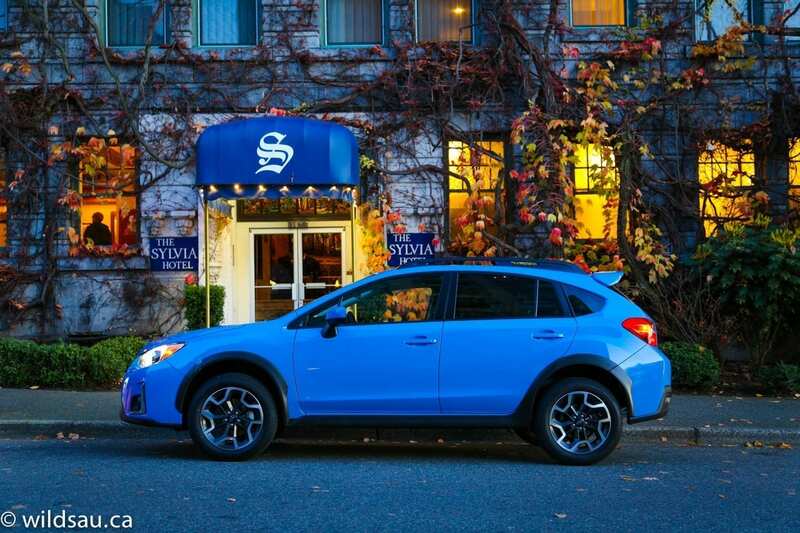 Subaru told us that the Crosstrek is a more capable vehicle, has a significantly better all-wheel drive system and is better suited for those who have a truly active lifestyle. 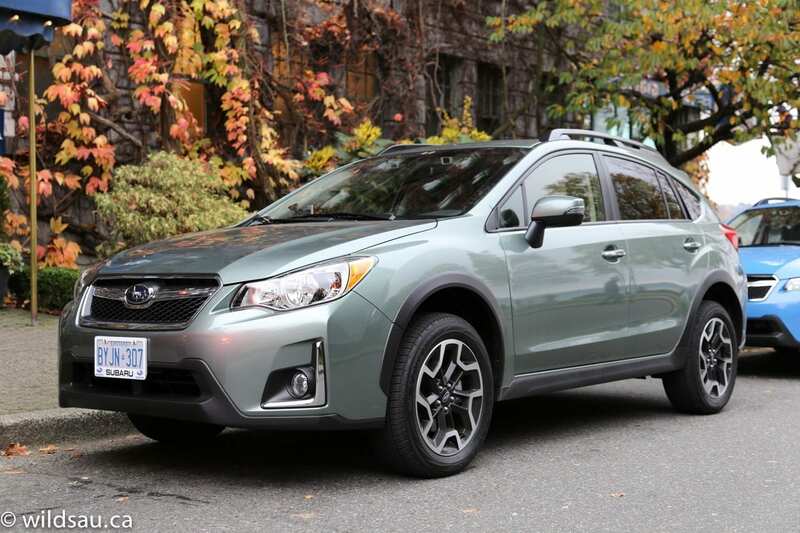 If you’re one of those independent thinkers that Subaru is after, I’d highly recommend giving the Crosstrek a shot if you’re shopping in this category. It’s a rewarding ride and it’s a vehicle with some character! Disclosure: Subaru Canada paid for my airfare, accommodations, meals and fuel and provided the vehicles for this test drive event. All photos were taken at the launch event.